William Faulkner Goes Online, 50 Years Later: Audio Recordings William Faulkner spent two years as the writer-in-residence at the University of Virginia, where many of his lectures and readings were recorded. Stephen Railton, an English professor at UVA, has digitized those recordings and made them available online. Author William Faulkner at his home in Oxford, Miss. Recordings of his lectures at the University of Virginia are now available online. In the late 1950s, English students at the University of Virginia got the opportunity that most American literature scholars would kill for -- to speak with William Faulkner. 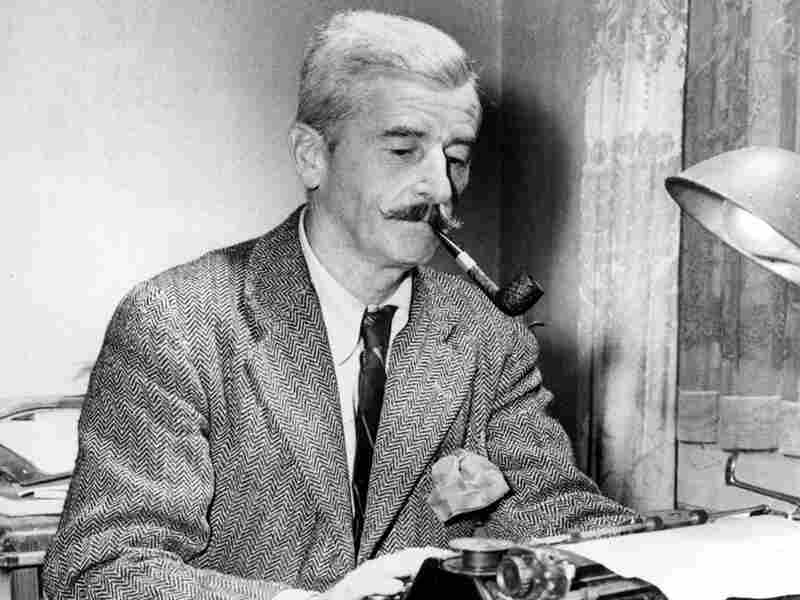 Faulkner wrote prolifically -- long, prosy sentences that filled page after page in his numerous short stories and novels. When one student asked why he wrote that way, Faulkner replied that man was "the living sum of his past." Railton tells NPR's Mary Louise Kelly that for Faulkner, there is no such thing as "was" -- that the past is always with us. Those long sentences gave Faulkner a way to indicate that any given moment in someone's life has a long history behind it. By the time Faulkner arrived at the University of Virginia, it was the late 1950s. He had already won the Nobel Prize for Literature, back in 1949. Railton points out that he was no longer the young genius trying to remake modern literature. "He's a much older man," says Railton. "It's clear that in these sessions at the University of Virginia, he's trying to reach out and make his work and his vision of the human condition accessible to as many people as possible." Railton hopes that by putting Faulkner online, it will not only allow people the chance to listen to him talk about his fiction, but also lead them back to the books.